Our authentic pool table rentals includes a 7 foot playing area on a 3/4 imported slate. Actual size of the pool table rental is 93 inches in length by 53 inches in width and 31 inches in height. 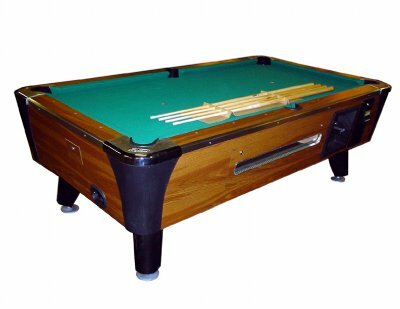 Pool table rental is a regulation coin operated pool table with a ball return system. There is no picking up the balls from each pocket with this system. Regulation billiard balls, sticks, chalk, triangle are included. Professional pool table stick stands are included for easy access. Regulation traditional green felt on the playing surface or a cherry red. Other features that can be included is the pool table area can be roped off with brass stanchions & red velvet ropes, custom pool table felts can be created and a pool shark can be provided along with the pool table rental. Our regulation pool table rentals provide a component of traditional entertainment for corporate events, corporate hospitality suites as well as tournaments. Unlike other pool table rentals, where the table has no slate or a very little slate, our tables have a 3/4 inch slate. This greatly enhances the guest experience and those that enjoy playing pool will quickly notice this feature at an event. Often times we hear at the events where we are providing pool tables guests say "the company hired real pool tables for our event." 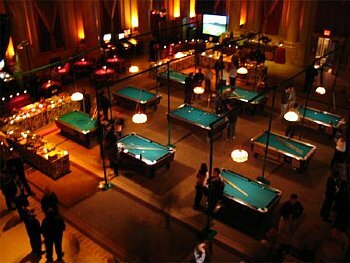 Some of the event venues that we have provided pool table rentals to are MGM Grand at Foxwoods, Sheraton Society Hill in Philadelphia, Valley Forge Convention Center and Mandarin Oriental in both New York City and Washington, DC. 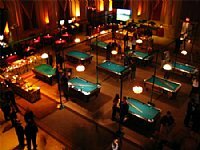 One of our most challenging and rewarding pool table rentals occurred at The Capitale in New York City. For this corporate event, the corporate planner requested 9 pool tables along with several other entertainment items. Capitale presents a logistical challenge as the only way to load any entertainment item is through the front door and up several steps. To further increase the challenge, the front door of Capitale faces Bowery Street which is your typical busy street in lower Manhattan. With proper logistical planning performed well in advance and bringing custom made ramps to the event location, we successfully provided 9 pool tables for this corporate event to the delight of the several hundred guests in attendance. The event photo of this 9 pool table rental is the image below the main picture of the type of pool tables that we provide. 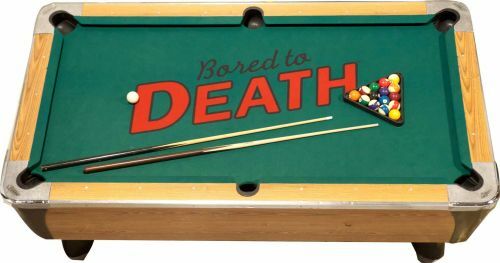 One other area to consider when renting a pool table is the addition of a pool shark or trick artist. 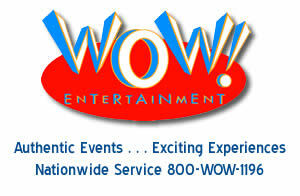 We can provide these individuals for the event and in the right environment these talented professionals can greatly enhance the overall experience. Besides performing their tricks and playing against the guests, their charismatic personalities create many memorable moments to take from the event.